To celebrate the first day of October and the 31-day-countdown to Halloween, I thought I would start brainstorming on some great costume ideas. These costumes will of course be inspired by classical literature so if you have any recommendations, send them on my way. 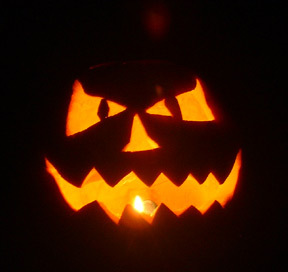 I will post costumes as ideas come to my mind so stay tuned throughout October! One of the suggestions below will be my Halloween costume, which I will wear to the bookstore I work at (we all love dressing up as our favourite characters on Halloween!) [If you’re wondering, last year, I was The Paper Bag Princess]. 1. Sherlock Holmes – One of the most endearing characters and an easy to create costume. All you need is an array of the following: magnifying glass, a monocle, a hat (either top hat or deerstalker hat), a suit (any colour will do), if it’s cold on Halloween, bring along a trench coat, a fancy walking cane, and of course, a pipe (perhaps one that blows bubbles!) – you may also solicit a sidekick and name him Watson. 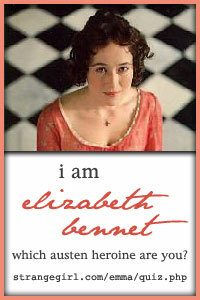 I am Elizabeth Bennett from Austen’s Pride & Prejudice. Wordle: is a toy for generating “word clouds” from text that you provide. The clouds give greater prominence to words that appear more frequently in the source text. You can tweak your clouds with different fonts, layouts, and color schemes. The images you create with Wordle are yours to use however you like. You can print them out, or save them to the Wordle gallery to share with your friends. What Tudor Queen are you? Found this enticing little quiz online. Apparently I am Queen Elizabeth I of England, daughter of King Henry VIII and his second wife, Anne Boleyn. Don’t forget to let me know, what Queen are you? I have decided to turn this blog into a general review blog, since I read so many more books than just the classics! Especially since I started interning at Harlequin. Warning: Hardly ever will you find a review of a ‘romance’ book…I just can’t do it. But you will see some great young adult, young adult, beach reads, non-fiction, suspense and mystery reviews! 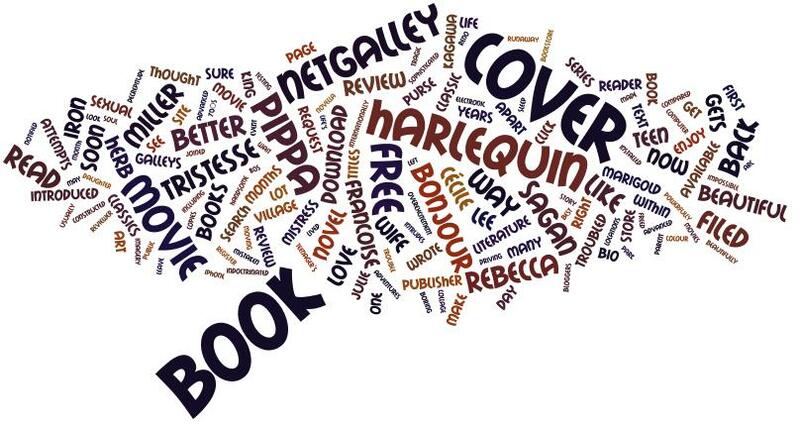 Also, I happen to work at a bookstore on weekends, so in no way am I wholly devoted to reading only Harlequin!